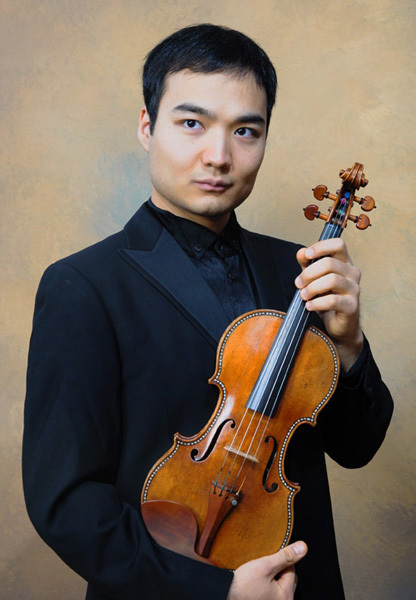 Erzhan Kulibaev is firmly establishing himself as one of the most exciting and gifted young concert soloists. He won the 2015 S&R Washington Award and is a former prize winner at the Wieniawski and Enescu International Violin Competitions, and First Prize winner at the Demidovski, Lisbon, Novosibirsk, Hindemith, Buenos-Aires International Violin Competitions. Recently, he was awarded First Prize with distinction at First Manhattan International Music Competition and Golden Medal at First Berliner International Music Competition 2017. 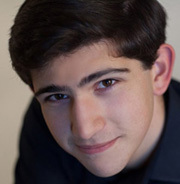 One of the Young Artists of The Violin Channel, his recent concert engagements included solo debuts at prestigious concert halls like Carnegie Hall’s Stern Auditorium in New York, Mariinsky Theater Concert Hall in Saint Petersburg, St. James Church Piccadilly in London, Auditorio Nacional in Madrid, Sony Center for Performing arts in Toronto, Berlin Konzerthaus, “Opera Bastille” in Paris, Teatro Colón and Gran Rex Theater in Buenos-Aires, Auditorio de Tenerife. He has performed with many world-renowned orchestras including Poznan Philharmonic Orchestra, Sinfonia Iuventus Warsaw, Royal Chamber Orchestra of Wallonia, Royal Camerata Orchestra, Amadeus Chamber Orchestra of Polish Radio, Orquesta Sinfónica de Tenerife, The Symphony Orchestra of Castilla y Leon, Rzeszów Philharmonic Orchestra, The Chamber Orchestra of the Philharmonic Society of Moscow, St Petersburg State Capella Chamber Orchestra, The Symphony Orchestra of Yucatan, The “Astana-Opera” Symphony Orchestra, Sinfonietta Cracovia Orchestra, Philharmonia Pomorska Symphony Orchestra, Polish Chamber Philharmonic Orchestra, Kraków Philharmonic Orchestra, Podlasie Opera and Philharmonic Orchestra. He collaborated with artists such as Valery Gergiev, Vladimir Ashkenazy, David Geringas, Maxim Vengerov, Jania Aubakirova, Schlomo Minz, Agnieszka Duczmal, James Feddeck, Vladimir Kiradjiev, Jorge lhez, Paolo Bortolameolli, Abzal Mukhitdinov, Rafael Payare, Alejandro Posada, Marek Pijarowski, Anna Duczmal-Mróz, Michael Hofstetter, Wojciech Rajski, Emir Saul, Tadeusz Strugała, Tadeusz Wojciechowski, Itamar Golan, Mihnea Ignat, Peter Gribanov. 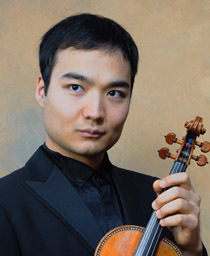 Erzhan has performed in many international festivals such as the Salzburg Festival, “Chopin and his Europe” and Beethoven Easter Festival in Warsaw, George Enescu Festival, Santander Festival, Estío Musical Burgalés, Otoño Musical Soriano, Classical Music Festival in Riga, Kasama Music Festival in Japan, Henryk Wieniawski Festival, LongLake Festival in Lugano and Crans Montana Classics in Switzerland. He toured performing concerts in Argentina, Austria, Belgium, Canada, Germany, Greece, Spain, Italy, Kazakhstan, Kuwait, Latvia, Mexico, Morocco, Poland, Portugal, Romania, Russia, Slovakia, Ukraine, USA, United Kingdom, France, Switzerland and Japan. “This superbly recorded disc is the most enjoyable chamber music disc – and the most interesting discovery – to come my way for some time”. 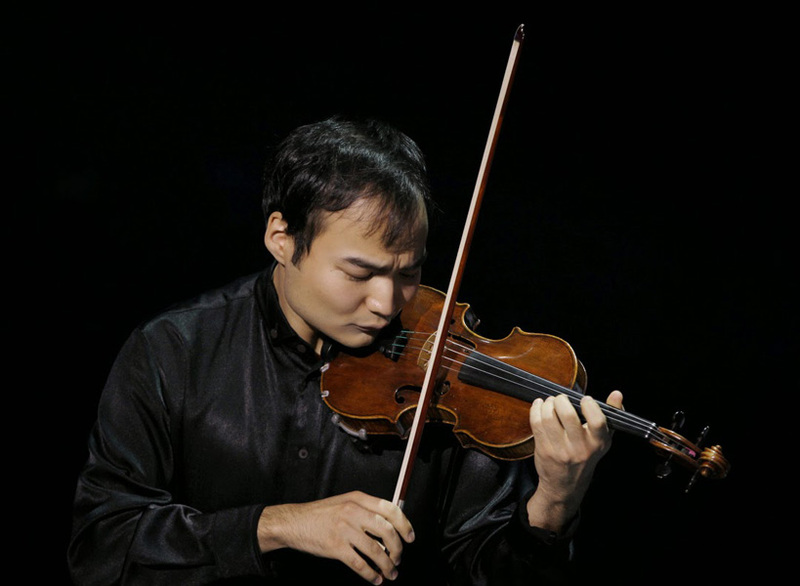 Erzhan started to play violin at the age of six. Graduated from The Central Special Music School of Moscow State Conservatory P. I. Tchaikovsky. Since 2004 studied in the class of the Prof. Zakhar Bron at The Queen Sofia High School of Music in Madrid and Prof. Pierre Amoyal in Mozarteum University in Salzburg (Austria). In 2006, 2010 and 2011 he was awarded an Honorary Diploma by the Queen of Spain Sofia and played in the Royal Palace of El Pardo. 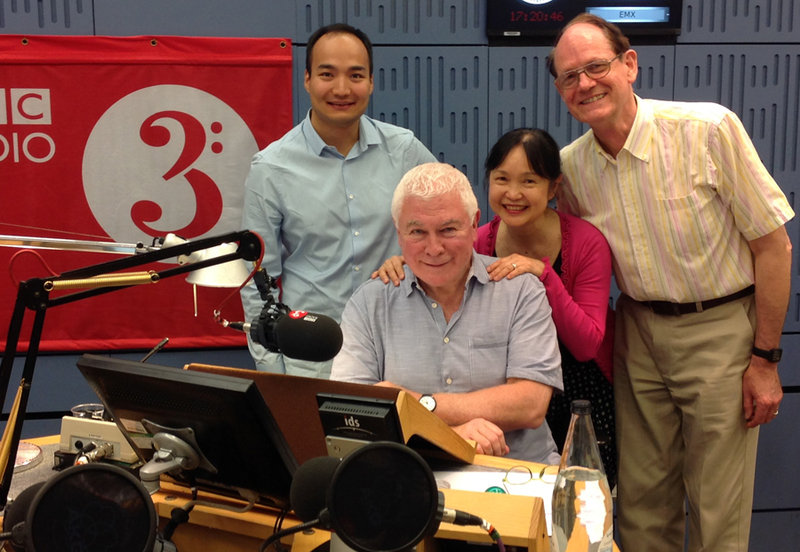 Currently, Erzhan holds the teaching position at the Katarina Gurska High School of music in Madrid. Erzhan Kulibaev is supported by “Talent Unlimited”.